I am back from my trip, and in case the lei doesn't give it away, these photos were taken in Hawaii. 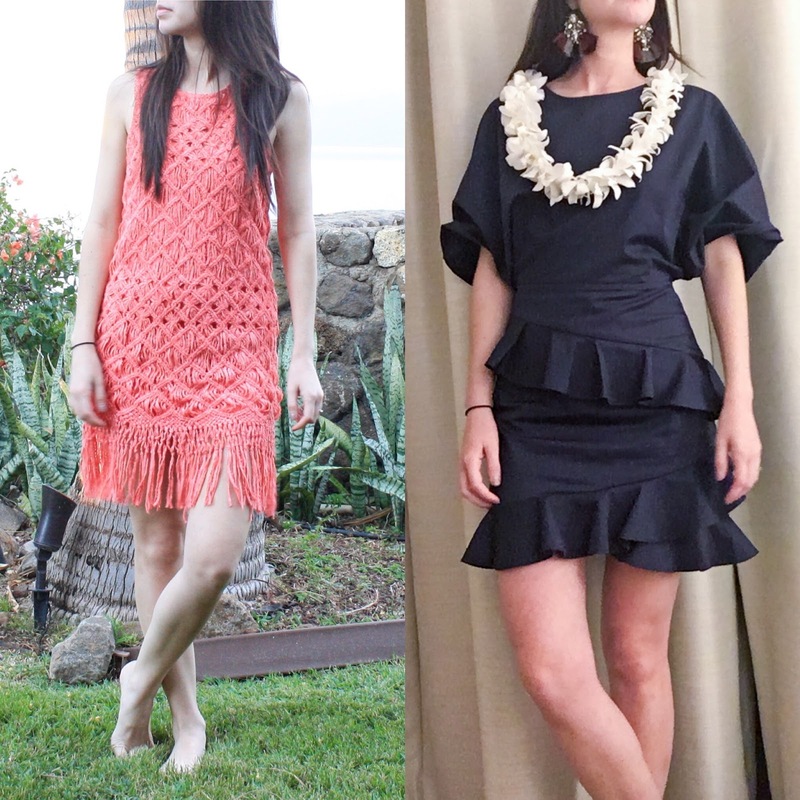 Today, I am featuring two outfits that each have a fun architectural element, in this case fringe and ruffles. 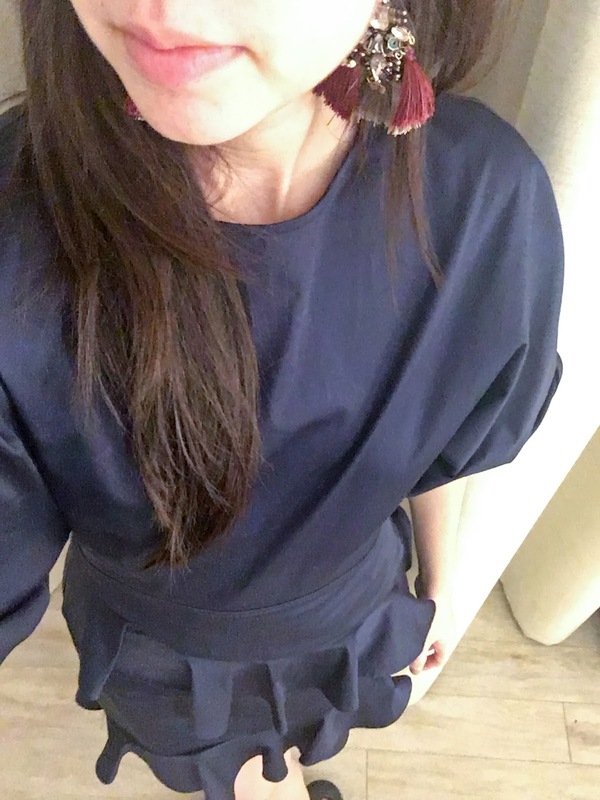 First up, this Fame & Partners Amelia Dress in Navy. I am wearing a size 0, without any customization (although, per the website, I did enter my height). This dress has a much shorter and tighter skirt than what I usually wear (plus an open back(! 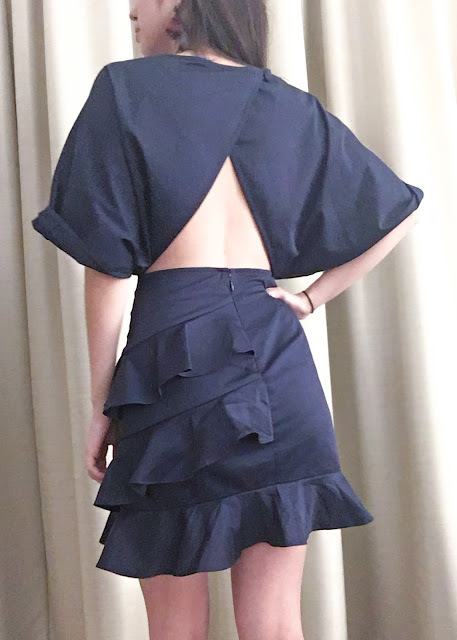 ), although I actually love the open back), and so the first time I wore it I was a little bit fidgety - pulling it down every few minutes, even though it wasn't really riding up. However, the feedback I got was overwhelming positive, and after wearing it around a bit, I became more comfortable. As this trip featured two rehearsal dinner-type events, both in warmer climates, I decided to pack this dress and wore it for both of those events. I wore different shoes to the two events (one pair of metallic flats and one pair of sandals) but I wore the same earrings, as I sort of feel they were made for this dress. 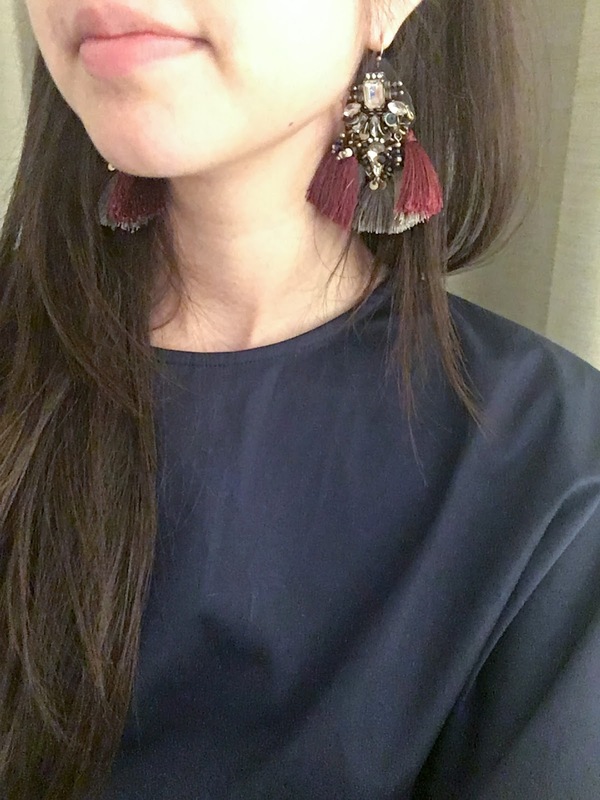 These are from Banana Republic, and were a total impulse purchase. I love the fringe and the beading, and that they aren't that heavy, all things considered. I think this dress would also look good with simple minimalist jewelry (my usual impulse) but I thought I'd spice it up a bit and echo the volume of the ruffles with the volume in the earrings. Next up, a dress I actually reviewed previously on this site, which is by the brand Tabula Rasa. I still love the color, the fun woven texture, and of course the fringe, and I still think it most appropriate as a swimsuit cover-up, as it really is quite short. I tried diligently to get a movement picture, showing the fringe in its true glory, but sadly it wasn't in the cards. 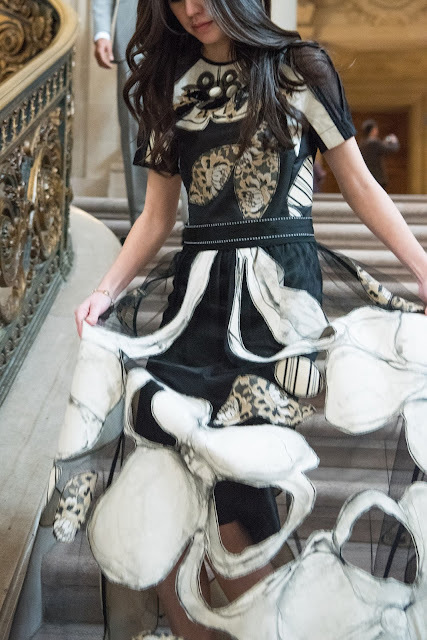 The Real Real currently has a few alternatives, including the dress in white and the top version of this dress, which seems like it might be more practical than the full dress. That one, however, doesn't look lined, like the dress is. Both of the dresses are so fun! I especially like the Fame and Partners one. I've realized that my wardrobe for attending weddings or other fancier events is really small and kind of boring. I usually just wear the same navy blue lace dress from Ann Taylor that I could also just wear to work.